(as in, one you actually want to read). 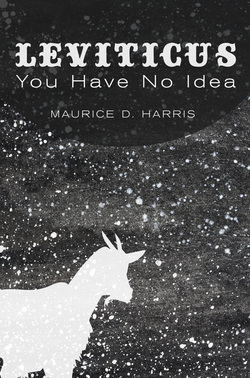 New from Cascade Books and author Maurice D. Harris: Leviticus: You Have No Idea. Leviticus has been called “irrelevant,” “primitive,” and “a backwater” of the Bible, even by scholars and people of faith who treasure Scripture. Many find it alienating, or, at minimum, confusing. In Leviticus: You Have No Idea, Rabbi Maurice D. Harris offers readers surprising new ways of looking at the Bible’s least popular (and least understood) book. Grounded in his progressive religious values and beliefs, Rabbi Harris approaches the various laws, rituals, and stories of Leviticus with an open-minded curiosity about what we can learn today about life, ethics, God, and higher meaning by studying this text. Taking the Bible seriously but not literally, Harris uses a plain-spoken, accessible style to explain confusing elements of Leviticus. He explores topics that matter to many of us in contemporary society, including LGBT equality, the dangers of religious fundamentalism, the impacts of childhood trauma, criminal justice reform, and more. With this book, the author invites us into an ancient text that, read with care, challenges us to be better people and help repair this broken world. "Harris has the ability to see what biblical scholarship offers and to translate those insights for lay readers. He does so without compromising the scholarship and without compromising his commitment to justice and progressive values. In my opinion, Rabbi Harris points the way to a new kind of engagement with the biblical texts—one that is reverent and critical, faith-based, and completely unapologetic." Note to customers outside the U.S. - I'm willing to ship the book internationally for the same price that is listed for U.S. customers. I have copies available now, ready to ship!